Fortekor 20mg Tablets are for the treatment of congestive heart failure in dogs. 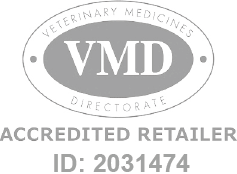 Fortekor Tablets - 20mg is a Prescription Only Veterinary Medicine and by law requires a prescription from your vet. Fortekor 20mg Tablets are manufactured by Novartis Animal Health and developed specifically for dogs. As such, they must never be used in other animals.